The business was established in 1970 by Brian and Joan Patefield, operating one vehicle on mainly local deliveries. The company was incorporated in 1976 and was by then operating 6 vehicles and had expanded into contract hire and nationwide deliveries for several local companies. Our first customer from day one is still with us today. Moving on to the present day, Brian is still involved as a consultant but the business is now run by his son John and granddaughter Charlotte, supported by a dedicated team of traffic planners, drivers and warehouse operatives. 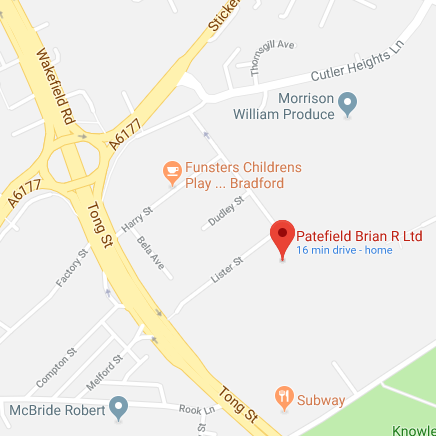 We operate from a secure base in Bradford, 5 minutes from the M62- J26, an ideal base for access to the national motorway network. Patefields © 2016 - Material published on this website is protected by copyright.